Whoopee! It’s Fun Friday! And today we have Fun Times Five!!! 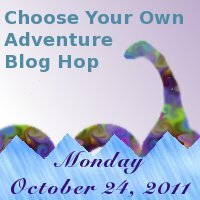 Fun Times Two: I’d like to take this opportunity to remind you to save the date of October 24th for the More-Fun-Than-You-Can-Stand Choose Your Own Adventure Bloghop. I’ve read a number of the entries, and it promises to be edge-of-your-seat fun! And finally, as promised, Fun Times Five!!! : the reason you came over here today in the first place! It’s time for me to tell you who won the September Pitch Pick! But first, I want to tell you a story my mother-in-law told me about her gall bladder…. Actually, my mother-in-law has more gall bladder (and other far worse) stories than you’d ever care to hear, but I’m not really going to make you sit through any of them. Anybody need a chocolate break? Should I wait to make the Pitch Pick announcement until you’re back with a fistful of Snickers bars? The winner of the September Pitch Pick, whose pitch will be sent to the wonderful and only Erin Molta, editor extraordinaire, for helpful hints and thoughtful critique is…. Congratulations, Aimee! And congratulations to Kimberly, Saul, and Catherine, too – your pitches were all great. You guys really gave Aimee a run for her money 🙂 Thank you all for being brave enough to put your work out there and good luck with your books! I did Fun Friday this week. I love your pic. He's got all of them that he can push. Susanna, I wonder what is going on Monday. Guess I'll have to head back to see. Thanks for posting my link Susanna. Congrats to Aimee! Boy you have a way of making us hang. So, I'll be waiting for Monday. Love the photo! 'Jack-o-lantern' is my fav Halloween word. Also, 'Boo!' but only when it's not directed at me! Stacy – you're most welcome! Thanks for joining the fextravaganza! Dawn – I love :jack 'o lantern” too! Thanks everyone and WOOT! Sorry I'm so late getting on here – a non computer day. Can't wait to hear your news on Monday, Susanna! I'm intrigued by your announcement. Guess I'll have to wait to find out what it is. Candy corn, All Hallow's Eve, witching hour are all suitably Halloween themed, I hope. For 'made up' words, I like 'spook'-tacular and 'fang'-tastic. The suspense is a great way to have us all come back on Monday, Susanna. Can you give me more info on the Oct. 24 blog hop? I'm intrigued and think I'd like to join. Very clean, easily navigable site…and when I get a little more time…I'll certainly be back to do just that…Got your address from “Write Up My Life”, or, Julie Hedlund's page…thanks, bless you and give my congratulations to Aimee, until I can get to her site also. Clar – I'm pretty sure it's too late to join this Choose Your Own Adventure, although you could check with Kerri at Craft Junkie, but I'm hoping to do a children's one of my own soon and would love to have you join if you're interested! Paul – so glad you lie the site. Thanks so much for stopping by. I will return the favor ASAP = a little backlogged just now! And to everyone – it's almost Monday… but I haven't received the info I thought I was going to have, so I may be in a very tricky position tomorrow morning!!! What a cute picture! Great stuff going on 🙂 I'm in suspense about Monday, lol. Thanks, Kerri! Sorry to extend the suspense…! 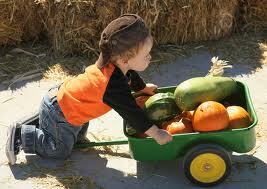 Wow, that is a beautiful haul of vegetables! We're just entering our growing season down here in Florida, so I'm looking forward to harvesting a few crops of my own.